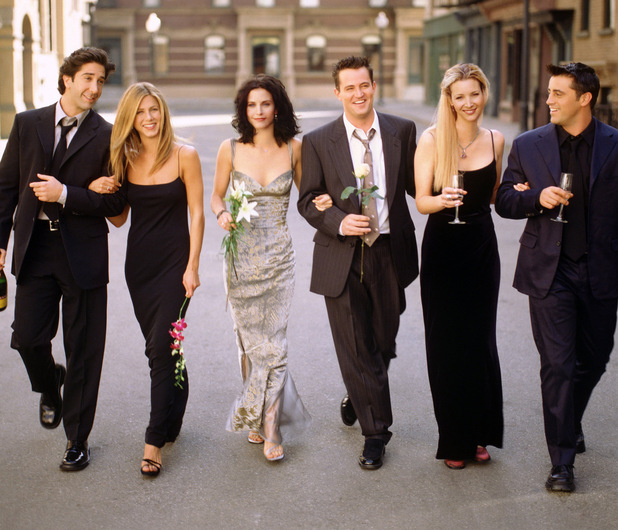 For the past 24 hours the internet has been going crazy with yet another rumour of a possible Friends reunion in 2014. It all started because of a report starmedia.us ran yesterday. However, nowhere in that article are the people closest to the show, NBC or the cast quoted. So Friends fans go back to watching the re-runs as this is just a rumour. Until we hear from NBC or any of the original cast members, it’s safe to say we won’t be seeing a reunion anytime soon. In the report, starmedia.us say, “It’s still unknown if the original actors will accept NBC’s deal, but the dream of “Friends” reunion is closer than ever!” If the original actors don’t come back, it is not a reunion, it is a reboot. Here’s the final ever Friends scene, which, as a Friends fan, I hope will always be the case! This entry was posted in TV News and tagged Courtney Cox, David Schwimmer, Friends, Friends Reunion 2014, Jennifer Aniston, Lisa Kudrow, Matt Le Blanc, Matthew Perry, Sarina Bellissimo, The Bellissimo Files. Bookmark the permalink. “It’s Completely Insane But I Love It” – Patrick Gibson on “The OA” Season 2, “Tolkien” and Living The Dream.